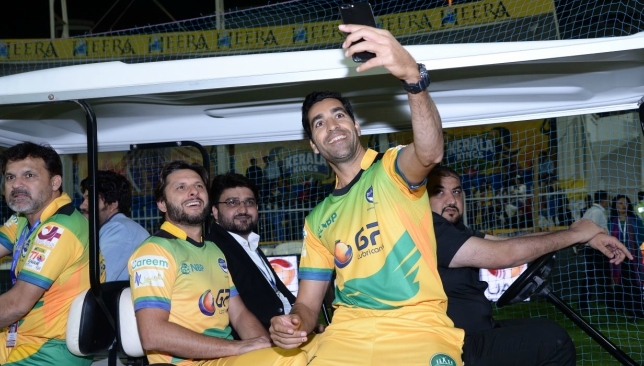 Umar Gul and Shahid Afridi get themselves clicked in their welcome ride. 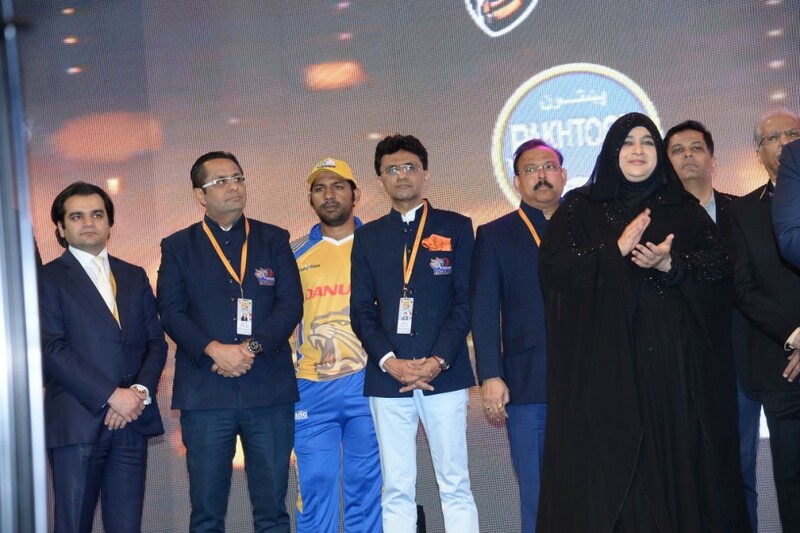 The iconic Sharjah stadium came alive as over fifteen thousand fans witnessed the opening ceremony of the first ever-international T10 tournament on Thursday evening. His Excellency Sheikh Nahyan Bin Mubarak Al Nahyan, Minister of Tolerance cut the ribbon, unveiled the trophy and set the tournament underway after hailing the power and skill needed to play this shortest version of the game. Sheikh Nahyan congratulated Shaji Ul Mulk, the man behind the initiative in his capacity as Chairman of the T10 League, as well all those owners and directors who came out and unstintingly supported this version of cricket. Also present was Dr Nowhera Shaik, Founder & CEO Heera Group, the title sponsor and Salman Iqbal, President, T10 Cricket League. In a delightful and relaxed manner after the formalities, the six teams did a round of honor of the field each accompanied by dancers from the specific region the teams represent and appropriate music in the background. A riveting display by performance artists and choreographed dances on stage plus a light and sound spectacle truly heralded a great start to the four-day tournament. Sarfraz Ahmed and the dignitaries at the opening ceremony. Well known players like Shahid Afridi,Virender Sehwag, Darren Sammy and Shakib Al Hasan received lusty cheers as they walked past. Not to mention the warm welcome received by celebrity attendees including Bollywood actress Bipasha Basu, the wrestler the Great Khali, Suneil Shetty, Arbaaz Khan and Sohail Khan, to name a few. Kerala Kings defeated the Bengal Tigers by eight wickets in the first T10 international ever played. In the second match, the Pakhtoons defeated the Maratha Arabians by 25 runs. Kerala Kings beat Bengal Tigers in the opening match. Friday will see four matches being played starting at 4pm. Team Fujisoft Falcons were crowned B Division champions of the Y AXIS InSportz Indoor Cricket League after beating Team SFS by 22 runs. Batting first, SFS scored two runs in their allotted 16 overs with Abdul Raheem Masood top-scoring with 15 runs. 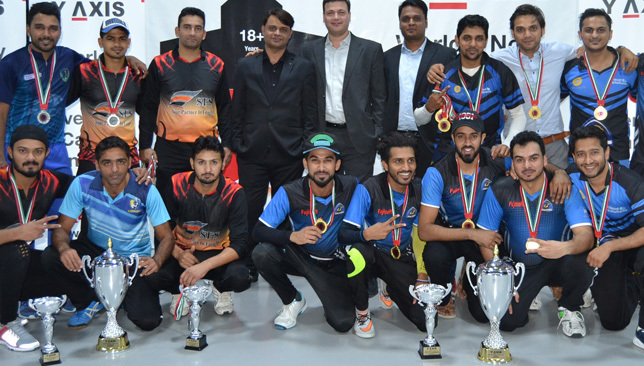 With a low score, Team Fujisoft Falcons cruised to victory with Barjinder Singh (4), Sandeep Nazareth (7) and Muhammed Zaidi (9) impressing with the bat. Hariharan Gurumurthi of Fujisoft Falcons was named player of the tournament, after scoring 57 runs as well as taking nine wicket for -4 runs. 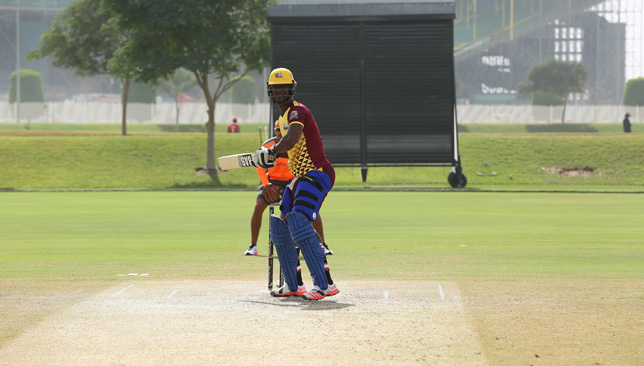 In the C Division final, Khaleej Times defeated Infinity by 25 runs. West Indies star Sammy is one of the big names on show. A new chapter in cricket will be marked on Thursday evening when the T10 League gets underway in Sharjah and before a ball is even bowled, elite cricketers are eager to play their part in making it a big success. England limited-overs captain, Eoin Morgan, World T20-winning skipper Darren Sammy, ex-Pakistan captain Shahid Afridi and pacer Mohammad Amir are just some of the biggest names to have signed up for the four-day competition at Sharjah Cricket Stadium. With the 10-over matches lasting just over 90 minutes, the players will be stepping into the unknown of what to expect but Bengal Tigers’ all-rounder Sammy says he has a responsibility to “entertain” the crowd in the stands. “This format could well create a window and we all have to embrace it,” said the West Indian. Despite the popularity of the sport worldwide especially the popularity of T20, cricket is yet to be included in the Olympic Games. But Sammy is convinced the format ticks all the boxes that IOC officials would be looking for. 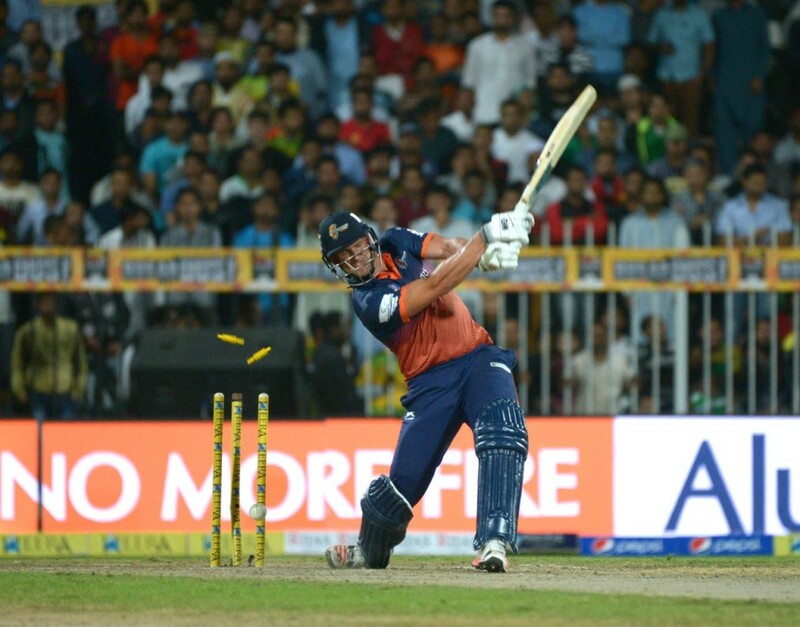 “If you see Twenty20 matches it brings so much excitement, so then you don’t really know what 10 overs will do,” said Sammy, whose Bengal Tigers’ side open the tournament against Morgan’s Kerala Kings tonight. 6 teams. 10 overs. 90 minutes. The teams are arriving in style, filled with the greatest cricketers, all set to change the dimension of the game. For Amir, he’s part of the Maratha Arabians squad that will be coached by Pakistan legend Wasim Akram. His team open their campaign against Pakthoons in the second game tonight and the 25-year-old believes that with the latest of the four matches starting at 22:00, the conditions could well suit him. “To be honest, it is the new ball,” he said of what would be his biggest challenge. When asked on the opportunity of working with one of his idols – Wasim, he replied: “I am very excited and I want to learn as much as possible from him in the four days,” he said. This year’s competition is made up of six teams and organisers have ambitious plans to hold the event in other countries from next year as well as expanding the number of franchises. And Morgan, captain of Kerala Kings, whose side includes Kieron Pollard and Liam Plunkett, believes even if it’s increased, it wouldn’t impact the tournament. “It’s the start of something new and excites everybody particularly the concept of a tournament that will start and finish in four days which is unheard of in cricket,” said the 31-year-old.